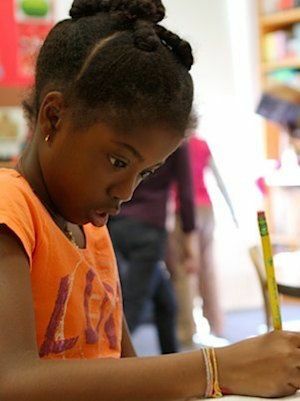 Within a defined but flexible curriculum, the First Program faculty crafts lessons that are accessible for children at different levels of development. Teachers vary the pace of instruction in the basic skills, enabling each child to achieve both personal and academic success. In small groups, as part of whole class activities, and in one-to-one sessions with teachers, opportunities are provided to encourage children to become active and independent learners. Unique learning experiences enrich the curriculum, such as the Archaeology Program for third grade students, a hands-on unit of study developed by Dalton's own Archaeologist-in-Residence. Investigative digs, designed in conjunction with the Social Studies cultural themes, lead young children into new areas of discovery. This interdisciplinary study is coordinated by the archaeologist, museum liaisons, technology coordinators, and the House Advisors. The First Program curriculum is also enhanced by the study of Chess. Dalton's Chess Program provides instruction to all kindergarten, first, and second grade students. In addition to being fun, chess is a useful tool for developing young students' problem-solving skills, focus, and logical thinking. The curriculum at the First Program is extended through numerous field trips that utilize the many resources of the city, as well as through Dalton's liaisons with The Metropolitan Museum of Art, The Museum of Natural History, and other institutions. These trips are an integral part of the children's educational experience. A full day nature study trip for third graders is a highlight of the program.